Is 2017 the year you buy home? Take a look at the following steps to help guide you through the process. Make sure you’ve had have sufficient income/employment by collecting copies of your W-2s for the last 2 years. If you’re self-employed or have a job that commonly has fluctuations in work (contractor, for example), make sure you have other documentation to support that you’ve had income during that time. Check your bank accounts (checking and savings). Make sure there hasn’t been any unusual or unauthorized activity and make sure you have enough saving to afford a down payment. Note that different loans require different size down payments — some may not require a down payment at all — but lenders still like to see that you’ve got money in savings. Check your credit cards and other debts. Make sure you’re not behind on payments for anything you’re obligated to pay on a recurring basis. This includes car loans, student loans, medical bills, and of course credit card balances. You don’t necessarily have to have these debts all paid off; it’s just good to show the lender that you’re able to make routine, on-time payments. Once all of your financial ducks are in a row, you can begin the process of obtaining financing via pre-approval. This step may be particularly important in 2017, as tighter inventory across California has made buyer competition fierce. Having a pre-approval letter in your pocket can help give you an advantage over the competition. It can also save you time down the road when you’ve finally found a home you want and need to put in an offer fast. Why else should you get pre-approved? Getting pre-approved for a mortgage can help you get a firm understanding of how much house you can afford. Your pre-approval can help other people involved in the process, too. For instance, your real estate agent will understand your budget because you’ll have a piece of paper that outlines exactly how much money your lender is willing to lend you for a home purchase. Likewise, the seller of the home will know that you’ve already taken care of the initial steps to get a mortgage, giving them peace of mind that the deal won’t fall through at the last minute due to lack of financing. Want to talk to us about getting pre-approved for a California mortgage? Click here. Again, the tighter inventory environment of the 2017 housing market will necessitate certain actions to get ahead of the competition. Working with a great real estate agent can provide extra help in this situation, as they will be the first to hear about new properties coming to the market. Be sure to pair up with an agent who knows the area well, is a good communicator, and is eager to help you achieve your goals by working in your best interests. If you and your agent have found a home that you love, is within your budget, and available now…put in a good offer ASAP! 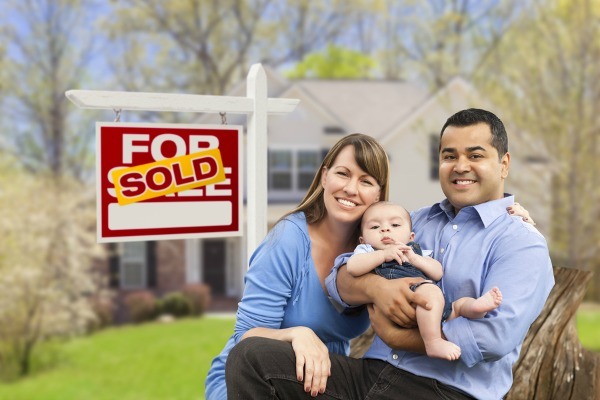 Homes are selling very quickly in Southern California, particularly in our Anaheim-Placentia-Yorba Linda market, so the sooner you can get in your offer the better. And while we’re on the subject of making offers, here’s another piece of advice for buying a home in 207 – do not low ball. Now is definitely not the time to come in with a low offer, at least not in Orange County. It’s a seller’s market right now which means there are a lot more buyers than there are homes. If you insult a seller by lowballing, they could choose to pass you over for the next buyers who come along. From there, the steps you take will depend on whether or not your offer gets accepted. The sellers may go for it or they may come back with a counter offer. One thing is for sure: You’ll need the help of your real estate agent and a great mortgage professional to guide you through the closing process, so make sure you’re woking with people you trust.